In 1996 the government of Saint Vincent and Grenadines has passed new laws pertaining offshore finance industry. The Saint Vincent and Grenadines laws were developed based on already existing official papers in other countries. What documents will you receive upon incorporation? What do you need to form a company there? Give us a call, or drop us an email and we would be glad to elaborate all the requirements for you. International Business Companies are not liable for corporation taxes on revenue gained outside of Saint Vincent and Grenadines’ jurisdiction. 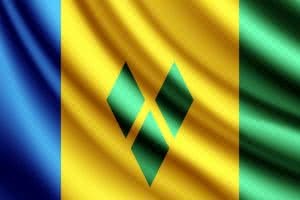 Saint Vincent and Grenadines is an independent country and member Caribbean Community (CARICOM). The laws of the country allow for marine vessel, insurance company and trust registration. Since 2010 Saint Vincent and Grenadines is whitelisted by The Organisation for Economic Co-operation and Development (OECD). Company Express is ready to help you to form company in Saint Vincent and Grenadines. Consultations are free. Contact us now.